After a hectic winter and excellent Easter holiday time, we’re now preparing for an even busier period coming up. Summer holidays in Loch Ness always bring excitement, new and returning guests to the Highland Club. Scottish tourism is once again on the increase and no better way for us to prepare than the recent addition of 2 apartments and 1 cottage to our portfolio of properties and the recent re-opening of the swimming pool and spa. For more details, keep reading. The swimming pool, since its re-opening in December, has proven to be as popular as ever. The complex has been fitted with guests’ safety and comfort at the fore. It makes for an extra relaxing and enjoyable time – a summer’s day in the Highland Club can be as active or as relaxing as you want it to be. On a rare day off, I like a light breakfast and a dip in the pool closely followed by some time in the sauna and steam room. After that, I might think of some lunch at the Boat House Restaurant and then nice walk along the South Loch Ness Trail which you will find within a 1 minute walk of the Highland Club gates. There are some steep climbs along the way but the views of The Highland Club and Loch Ness are worth the effort. 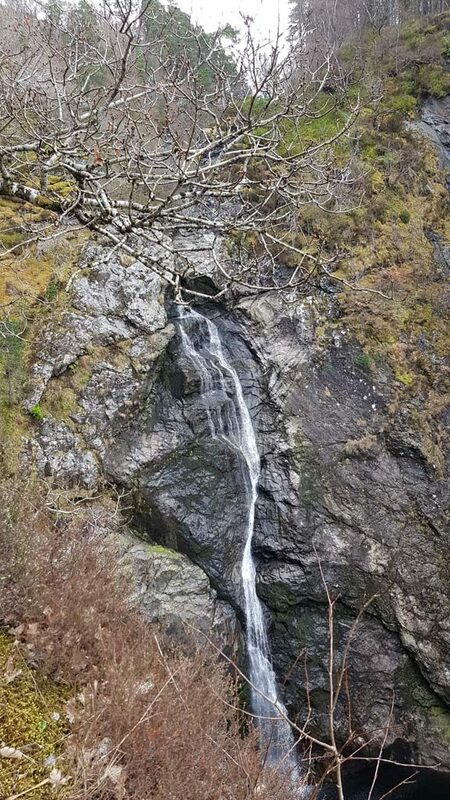 I recently took a short drive up to the Falls of Foyers, a small but stunning and peaceful part of the Highlands that Rabbie Burns once found inspiring enough to pen a poem about. You can read it by clicking this link: – Enjoy Loch Ness. By the time I come back home I’m ready for some dinner at the Lock Inn where you’re guaranteed some excellent Scottish cuisine. A fine and friendly restaurant and bar. Book your summer holiday in Loch Ness with Highland Club Scotland and this could all be a small but amazing part of your vacation itinerary. 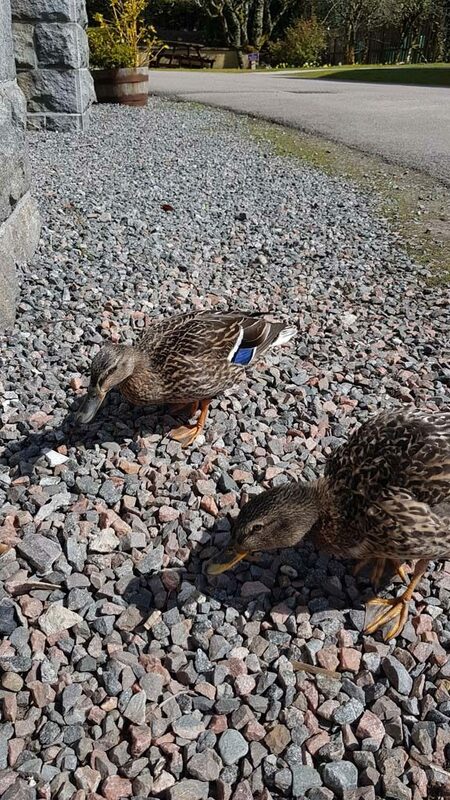 Yesterday, outside the courtyard cottages I came across some of the resident ducks who were just waddling around. Their friendliness is often surprising no matter how often you see it. They will happily venture up looking for a bit of bread or some seeds and, I like to think to, to say hello. They will come so close you can kneel down and they will eat out of your hand – just be careful as they can be a little greedy at times. Highland Club Scotland boasts the widest range of properties at the Highland Club. The arrival of 3 new properties gives our customers an excellent range of choices. Courtyard Cottage 4 – a 2 bedroom, 2 bathroom, comfortable and stylishly furnished cottage. Brothers Wing 1 – a 1 bedroom, 2 bathroom, lower ground apartment. Surprisingly spacious with a sofa bed. Perfect for a budget holiday. Brothers Wing 7 – a 2 bedroom, 2 bathroom first floor apartment. Beautifully decorated and incredibly comfortable. Photos of these properties are to follow; already return guests are snapping up the available dates to The Highland Club. Don’t miss out – get booking your Summer holiday in Loch Ness now! Did you know our website has with Instant Messenger? So you can get fast answers to any queries you have. Just click on the white envelope icon on the bottom right hand corner of any page on our website.